Faith Veterinary Clinic is proud to serve the North Brunswick, NJ area for everything pet-related. Our veterinary clinic and animal hospital is run by Dr. Raj Narala, who is a licensed, experienced North Brunswick veterinarian. Our team is committed to educating our clients in how to keep your pets healthy year round, with good nutrition and exercise. Faith Veterinary Clinic stays on top of the latest advances in veterinarian technology and above all, remembers that all animals and pets need to be treated with loving care in every check-up, procedure, or surgery. Faith Veterinary Clinic is a brand new veterinary clinic at 2202 US Highway 130, North Brunswick, New Jersey. We are dedicated to providing excellent and affordable veterinary care for your valuable pet. We are located such way that accessible to New Brunswick, Somerset. South Brunswick, East Brunswick, Plainsboro and Princeton. We have a state of the art facility equipped with top notch equipment in veterinary profession. For the neighboring residents, we are just a five minute drive away for high quality pet care. We are providing excellent and affordable veterinary care in Franklin Township, Somerset, New Jersey since two years in a small mobile unit stationed at Franklin Township, Somerset. Due to demand for high quality veterinary care the practice is expanded to the fixed location in North Brunswick, New Jersey. As your pet's safety and comport is our top most priority, Faith Veterinary Clinic is equipped with a high quality digital x-ray for radiological diagnosis, the latest in-house blood work capabilities for immediate health assessment, and an advanced anesthesia machine with digital monitors equipped with ECG, Blood pressure and temperature monitoring during surgery and dental procedures. Spacious exam rooms provide a calm and relaxing environment for your pet. We have dental cleaning table, high performance dental fiber optic dental procedure machine. Radiographic digital dental X- Ray machine for all kinds dental diseases diagnosis. 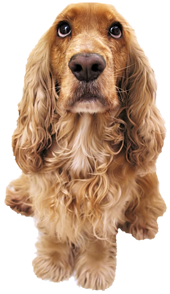 We have incorporated dog runs for big size dogs and an isolation room for the treatment and care of any sick pets. Faith Veterinary Clinic finder and the owner Dr. Raj Narala, Veterinarian did his masters degree in Animal Reproduction in Gynecology, who is a licensed, 25 years of experienced as a veterinarian. Dr. Raj Narala has worked in a variety of animal care facilities in the states and abroad, acquiring a broad knowledge and experience in Surgeries diagnosing and treating your pets. Our highly knowledgeable and dedicated team is committed to educating our clients on how to keep your pets healthy year round, with good nutrition and preventive care. Faith Veterinary Clinic stays on top of the latest advances in veterinarian technology and above all, remembers that all animals and pets need to be treated with loving care in every check-up, procedure, or surgery. We strongly recommend our new clients to take a tour of our facility to see what our facility offers.